All roads lead to Seneca Lake, an icon of the beautiful Finger Lakes. 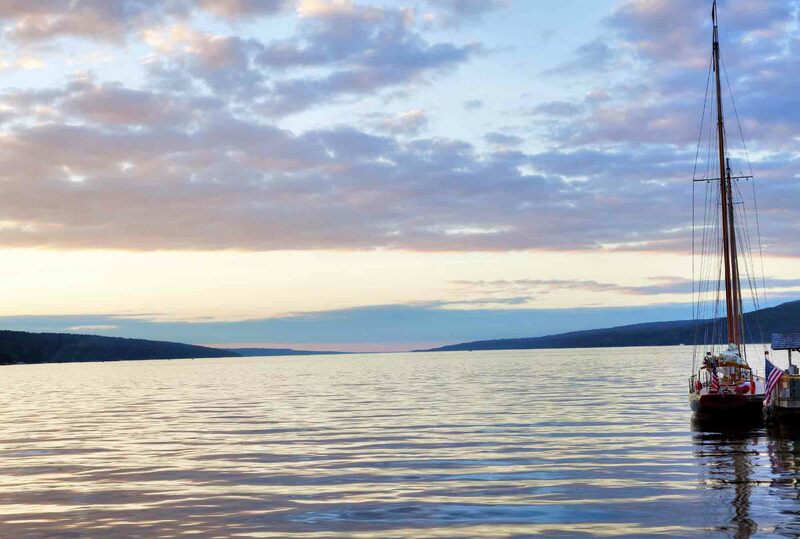 Seneca Lake is the largest and deepest of the eleven glacial lakes known as the Finger Lakes. Just as the lake trout makes Seneca Lake the Lake Trout Capital of the World, adventures to suit everyone’s tastes absolutely abound. Sport – Fisherman the country over partake in the Lake Trout National Derby and enjoy fishing in Catharine’s Creek. Golfers have their pick of several courses, clubs, & driving ranges. including a 9-holes at Fox Run Golf Club in Johnston, NY. Corning Glass Museum (45 minutes) – Live glass blowing overlooking a working glass factory and world-renowned treasures such as Tiffany glass pieces.